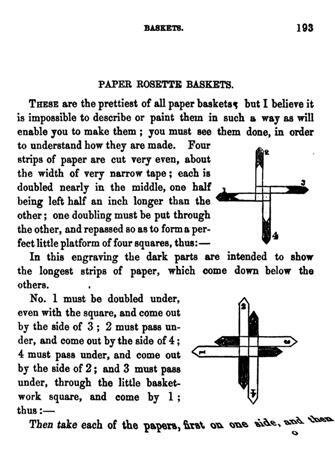 This page attempts to record what is known about the origin and history of the origami design known as Paper Rosettes / Froebel Star / German Star / Swedish Star and by many other names. Please contact me if you know any of this information is incorrect or if you have any other information that should be added. Thank you. 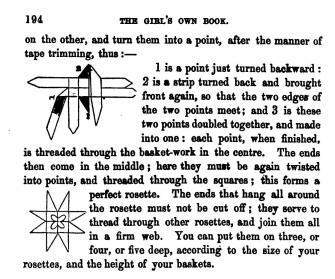 As far as I know this design first appears in the historical record in 'The Girl's Own Book' by Lydia Marie Child, which was published by Clark Austin and Co in New York in 1833. 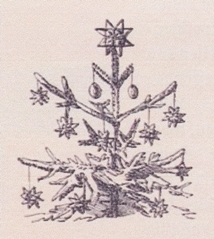 ... and for an Easter Cross made by combining seven Froebel Stars. Although the stars can be combined without glue the text recommends that paper is pasted on the back to make the design more permanent.